Anyfi is a revolutionary Wi-Fi system that utilizes user devices to expand and optimize Enterprise Wi-Fi networks. Devices running the Anyfi SDK (software development kit) function as Wi-Fi repeaters, relaying internet signal to vastly expand the reach of the network. 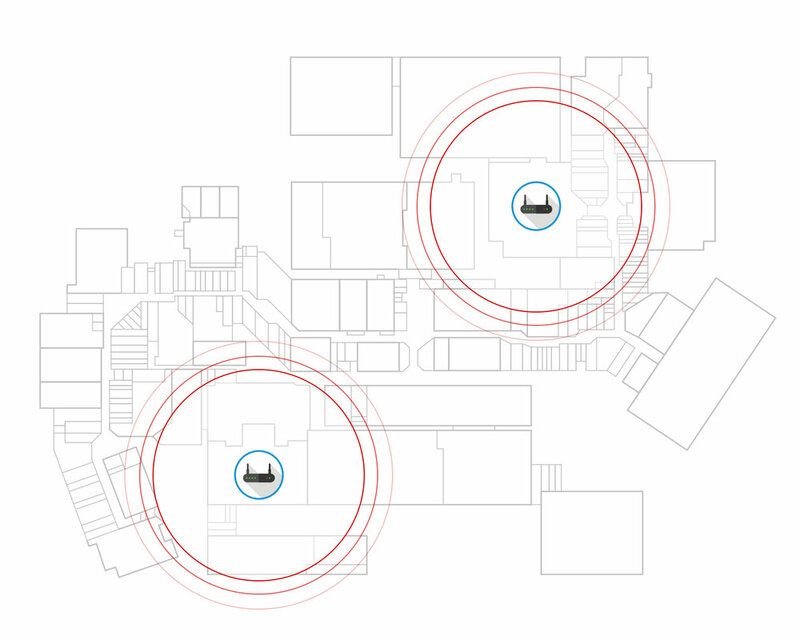 High-performance and total coverage can be achieved with fewer Access Points at a fraction of the cost of traditional Wi-Fi. With Anyfi, every smartphone and computer helps to improve the quality and coverage of the network. By installing Anyfi software on user devices, your enterprise unlocks the massive latent bandwidth locked away in your customers’ and users’ personal devices and leverages it to optimize the performance of your wireless network. Not only can you greatly expand the coverage of your network, but you can also enjoy great peak-time network performance. More users don’t overwhelm the network. They strengthen it. Enjoy greater network coverage with fewer Access Points by involving user devices in the network as repeater nodes. While traditional networks suffer when more users join the network, the Anyfi network dynamically scales to meet demand. Your users upgrade their personal devices periodically, meaning your network can stay up-to-date at zero-cost. The Anyfi network has state-of-the art network security, including WPA2/PSK, end-to-end encryption, and bilateral authentication.